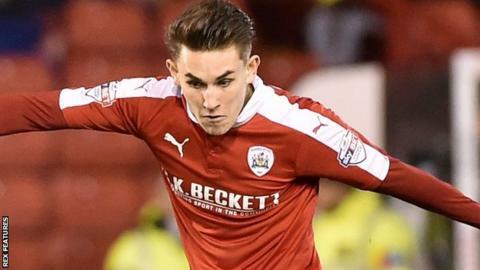 Macclesfield Town have signed defender Matty Templeton from League One side Barnsley on loan until the end of the season. Templeton, 19, came through the club's academy system and has featured three times for the Tykes this season. The youngster has scored one goal for Barnsley, which came in their 4-2 win against Blackpool in December. The Silkmen are 12th in the National League table and are without a win in their last nine league games.